Why use a VPN? Today we will discover 25 best uses of a VPN. Read for complete Hogwarts style Story! Yahoo got hacked in 2012, and the number of affected people is estimated to reach 3 billion…. WannaCry ransomware attack in 2017 emptied the pockets of many small and large firms…. And, there are many more horror stories on the internet regarding cybercrime, identity theft and data breaches. With so much evil on the internet, Cyber Security Experts from around the world have suggested using a VPN. Experts such as Edward Snowden, Martin McKeay, John Bristowe, and Dino A. Dai Zovi keep educating people regarding the risk they took when they connect to the internet and share valuable information in the form of credit card, emails, text messages, videos, pictures, check-ins and much more. There are thousands of articles telling the horror stories about the internet and keep recommending hiding your IP and encrypting your information online, but yet only 34% of the internet users seem concerned about the online security and use VPN. 66% of the internet users are still in denial. Do you remember the story of 3 brothers and ‘Deathly Hollows’? The Elder brother got the most powerful wand and died; younger brother got the black stone and killed himself; the only brother survived was the one with the invisibility cloak. It was the only thing that ditched the death and kept the third brother alive. Similarly, it doesn’t matter if you are using best Antivirus or strong Encryption tool, but if your original IP is naked and traceable, you can be caught. Moral of the Story: Use a VPN to hide your IP from snoopers and eavesdroppers. Remember the magic map that shows the footprints of the every person around the secret section which is forbidden to access. Similarly, whatever you do online, stores on database of your ISP, the website and the app. If you want to erase your digital footprints then use a VPN. Moral of the Story: If your IP is invisible to everyone, then no one can track your digital footprint on the internet and trace it back to you. What if your postman dumps your email on your dining table at lunch the same way Harry Potter’s owl fetch the mail? Will you be fine, if your entire family reads your letter? Obviously not! Same way, when you send an email or text message via messenger service on the internet, your communication is open for everyone. Anyone with small technical knowledge can hack into your conversation and read your messages. Like you don’t send a letter without putting it into an envelope; never send a message on the internet without using a VPN. Moral of the Story: You are not living in a secure and happy cyber world, it is evil, and everything here is unsafe including your messages. Use a VPN to encrypt your conversations and keep your messages private. The Internet is not a Gringotts Wizarding Bank, where whatever you deposit stays safe. There are no dragons and goblins on the internet protecting your valuable information. You are solely responsible for the safety of your online assets. Your little carelessness can cost you big time on the internet. It is a fact that you cannot have a Wizarding Bank online, but you can have a dragon to protect your online assets. And, your online dragon is the best VPN. Do you remember the scene in Harry Potter’s Goblet of Fire, where Sirius Black sends a message to Harry by appearing in the chimney fire? Well, how often can you do that on the internet? I guess, NEVER. What’s the best way to send a message anonymously to someone on the internet? The answer is obvious – use a VPN. With a VPN you can send emails anonymously to anyone. 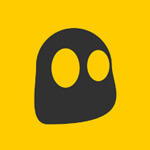 Don’t want to disclose your name and location, just be anonymous online with VPN. Moral of the Story: A VPN hides your IP with one of its own VPN server’s IP, keeping your online identity a secret for everyone on the internet. Voldemort spies are everywhere, keeping an eye on Harry Potter’s every activity. If it weren’t for Professor Dumbledore, he would have been killed at a very young age. Similarly, hackers and spammers are everywhere, keeping a record of your every online activity. It is you, who need to protect your online identity and your family on the internet. Only a good VPN can provide you the ability to protect your online identity and your entire family at the same time. Setup a VPN on your router and keep your whole family safe from online threats. Moral of the Story: Your family, including your kids, needs online protection against all kinds of online threats. Use a Router VPN to protect your entire family. Hogwarts never had a WiFi because the wizards don’t need it. But we as moguls need it every single day to communicate, to connect, to socialize and to do lot more. Harry Potter never uses a magic spell without perfection, so how can we, his fans, didn’t perfect our online activities. Why do we not use a VPN before connecting to an unsecured WiFi? Do you know, hackers can quickly create a mirror WiFi hotspot to hack your device and steal from you? Be safe on unsecured public WiFi hotspots with a VPN. Moral of the Story: WiFi is a heaven for Hackers. They can easily hack into any WiFi which is open publically. Beware, only use a trusted WiFi connection with a VPN. Have you ever experienced shopping in Diagon Alley? Well, the internet is no less exciting place then Diagon Alley. You can magically get anything you want to buy on the internet. Just one click and your desired products are in your shopping cart. Did you notice the black market of Diagon Alley in Harry Potter movies? Have you seen the bar of thieves (Bad Wizard) and shops with magical crap products that can be harmful? Well, the internet is similar to that black market of Diagon Alley. There are so many thieves waiting to trick you and steal your credit card information on the internet. There are many frauds and scams on the internet to make money out of your misery. Only the best VPN can help you avoid such frauds. Moral of the Story: Know the worth of your money and do not become a victim of online scams. Use a VPN to shop online using your credit card safely. Ministry of Magic is always a pain in the a**. They always interfere in the matters of Hogwarts and Harry Potter’s life. Similarly, ministries in our real day-to-day life interfere in our lives. They are not only interfering but keeping an eye on all our internet activities, recording our data, monitoring our conversations and listening to our private conversations are some of the unbearable evil act of government authorities. NSA Prism program, 5 Eye Program and GCHQ activities killing our online privacy every day. Fight and get back your birthright of privacy with a VPN. Use a VPN and hide all your digital footprints from the government agencies. Moral of the Story: Your original IP is like your house address or your postal code. If anyone has it, they can track you easily. A VPN makes you invisible like if you never existed and fooled the government and agencies. Hogwarts is a very restricted place if you must remember, Potter, Granger, and Weasly were always in trouble because of freely access the limited parts of the buildings. There’s a definite message in every part of the Harry Potter movies; sometimes we find more significant secrets in the hidden places. The Internet is no less than Hogwarts when it comes to restrictions. Geo-restrictions, IP restrictions, service restrictions, etc. make it harder for all the internet users to take full advantage of the cyber world. A VPN is like your virtual visa to access any part of the world. Moral of the Story:A VPN offers IPs from hundreds for locations from dozens of countries across the seven continents. 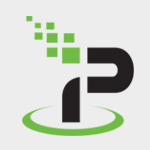 If you live in China and want to access US content online, just connect to a USA server and enjoy your desired websites. Too bad that Harry Potter lives in a magical world with no online broadcasting or else the Weasley family shouldn’t have to spend so much to watch the Quidditch World Cup. Luckily, we live in the era where everything is turning digital. So, if you cannot make it to the FIFA World Cup in Brazil in 2018, you can watch it online only by visiting the online broadcaster website. Unfortunately, there are many restrictions involved. A VPN helps you to bypass these restrictions and watch sports online. Moral of the Story: Watch your favorite sports anywhere and at any time in your native language with a VPN. I have never seen Harry Potter watching a movie, or in fact anyone in the Harry Potter series. But they do have live books that can talk and see. Considering the fact, wizards aren’t allowed to watch movies; the books were the only source of entertainment. Again, it was restricted for the Wizard in Hogwarts to read books that are not included in their curriculum. When someone puts a full stop on your entertainment, don’t you feel like throwing a big rock on that person? If you want to watch Netflix USA, but can’t because of geo-restrictions, what would you think? Disappointed right? Well, don’t be disappointed as we have a perfect solution for you. 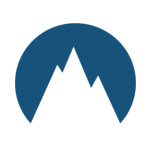 Use a VPN and watch movies anywhere anytime. Moral of the Story: A VPN helps you access movies from different regions with the same region’s IP. Enjoy your weekends, holidays and vacations watching your favorite movies with a streaming VPN. Music was allowed on Hogwarts, but it was never highlighted in any movie of the series, except for the singing lady. Well, who would want to listen to the ‘Fat Singing Lady’ when we have millions of other songs stored on the internet? Use a VPN to access music services like Spotify and Pandora from anywhere. Moral of the Story: A VPN can be used for listening music. Pandora and Spotify are some of the greatest music platforms which are only accessible in the USA. You can access it anywhere with a VPN. I wish there were Skype, IMO or Viber at Hogwarts. How many problems and misunderstandings would have never been raised, if that was the case? Unfortunately, Hogwarts never had it, but we do. Connecting to your loved ones has never been this accessible and affordable as it is now because of VoIP service. Everyone was happy until the monster of geo-restrictions attacked us. Skype, Whatsapp, and Viber are blocked in many regions of the world including Middle Eastern countries. A VPN can help you access Skype and Viber from anywhere irrespective of your location. If you want to talk to your loved ones from abroad, get a VPN. Moral of the Story: A VPN replaces your IP and trick the ISP from blocking your connection. And, this is how you will be able to access Skype and Viber from the restricted region. If you have seen every part of Harry Potter series, you must remember that all the parts have one game included in it. Do you remember when Weasley play the chess at the tunnel to let Harry pass the ‘Secret Chamber’ and when they have to catch the winged keys? Just like the movie, thanks to the virtual reality, we can play games like if it’s happening. These games are called MMORPG. As usual, there are restrictions on playing MMORPG games. A VPN helps you bypass these restrictions and play MMORPG games with the lowest latency and reduce the lags. Moral of the Story: A VPN is an excellent tool to play MMORPG games with your partner from abroad like if you are with him. Replace your IP, and connect to your favorite game to enjoy the lag-free experience. Sometimes, things that other think is illegal are legal for us. Just like Hermione taking two classes at a time using the time machine, Ron petting the rat and Harry tracking the footprints across the building by the magic map are some forbidden acts as per Hogwarts law, but by abiding these rules, these three students saved the entire school a hundred times. Similarly, downloading books, movies, music via torrent is illegal to many countries in the world, but it is entirely legal for the internet users. If you live in a country with strict copyright issues, just use a VPN to download torrents anonymously. Moral of the Story: There’s no need to fear the agencies and government authorities when you have a VPN. Download torrent anytime with complete invisibility. Do you remember the part from the movie where Long Bottom gave a herb to Harry so he can breathe in the water? How he comes across to that idea? Well, as a fan you must remember it was the Moody, (the Mad-Eye professor) who at that time was impersonated by Barty Couch Jr, gave him a book from the restricted section of the library. What if that part of the library was not restricted? There must have been a lot of knowledge in that restricted section of the library. Similarly, many books in the libraries restricted to specific regions only possess an ocean of knowledge which not every one of us can access. If you are a reader and seeking to learn new secrets about nature and science, you need to check international libraries by using a VPN. Moral of the Story: A VPN not only helps you access entertainment; it also enables you to learn new ideas and secrets about nature and science. No tax applied on Wizards. I wish the situation is same in the real world. There are a lot of taxes, especially on IT sector. If you want to buy software or hardware, you will be bombarded with taxes that you never heard of. Avoid these charges by changing your IP with one of the country’s IP where the taxes are not applied. Moral of the Story: Save you money from not-paying additional taxes on IT products. Wizards have broomsticks to fly back and forth from one place to another. But, we the Moguls need an airplane to do the task. Do you know that if you book your air ticket from the USA to one of the USA cities’ instead booking it from any other country, you will be charged less? The fact is practically tested, and we found out that if you change your IP, you will get to pay less. Moral of the Story: Save your money on your next flight by booking the air ticket from the nearest region with a VPN. Booking hotel in the Wizard world is easier than in the real world. 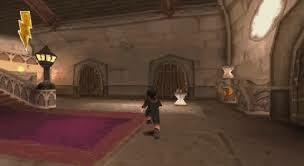 Harry Potter after being thrown out by her Aunt stayed at the hotel; do you know how much he paid for the room? Never mind, no one knows, because it doesn’t matter that much for the Wizards. But does it matter to you? You can save a lot of money on booking hotel rooms from the same region then booking it from your original location. Same as saving money on airfare, you can save money on hotel booking with VPN. Moral of the Story: A VPN is your ultimate travel guide. Get a VPN and save money on your flights and hotel bookings. If you live in Australia, you will pay a lot of money for buying books and hardware online. Why? Because along with the cost of the product, you will also pay 20% VAT tax applied by the Australian government on all online purchases. So, no matter what you purchase online, you will pay VAT tax on all your purchases. Use a VPN and change your IP from Australian to the USA before making the purchase and save money. Moral of the Story: Pay less to buy books and hardware in Australia and in many regions where excessive taxes are applied. Dumbledore missed one point to implement in his regime as the principal of Hogwarts and that is checking the emails of his staff. He would have come across the plotting of many of the traitors within the school. Small and medium-size businesses do not have a huge budget to set a team of cybersecurity experts. Meanwhile, a VPN can help them secure the official emails by encrypting every bit of the data. Moral of the Story: Secure your official email communication with a VPN that encrypts and route your internet traffic through a secure tunnel. Harry Potter was unable to access so many things outside the Hogwarts; you know why because he doesn’t have the remote access to the accessories. But don’t worry, if you are out of your office, you can easily connect to your office network with a VPN. Do you know that apart from Individual purposes a VPN can help you in your business? Get a business VPN and remotely access your office network from anywhere in the world. Business VPN helps you to secure your office emails and protect your computers from ransomware attacks. Moral of the Story: Like individual needs a VPN for online security, businesses need it more for safety and performance. Harry Potter could have been a lot more famous besides the Hogwarts if he had the right strategy to optimize the buzz he created over the time. Let me tell you a secret, you can maximize your SEO activities, with a VPN. Here’s how. If you are an SEO and working to optimize your website or landing page via off-page strategy, then you will need IPs from different regions. If you want to access a restricted forum or community, a VPN can help you do so by merely changing your IP with one of your desired location IP. Moral of the Story: Enhance your optimization activities ten times with the best VPN. Hermione speaks openly of her mind without fearing any outside pressure. She was accused of her determination, but she never bows down. And if you are a journalist and you want the same courage then get a VPN. Say ‘No’ to restriction and speak your mind in front of everyone anonymously with a VPN. 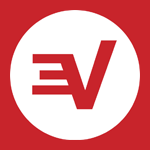 Access banned political forums, write articles, and share your opinions freely and anonymously by using a VPN. Moral of the Story: A VPN not only provides your freedom from restrictions on the internet, but it also helps you to express your thoughts freely. 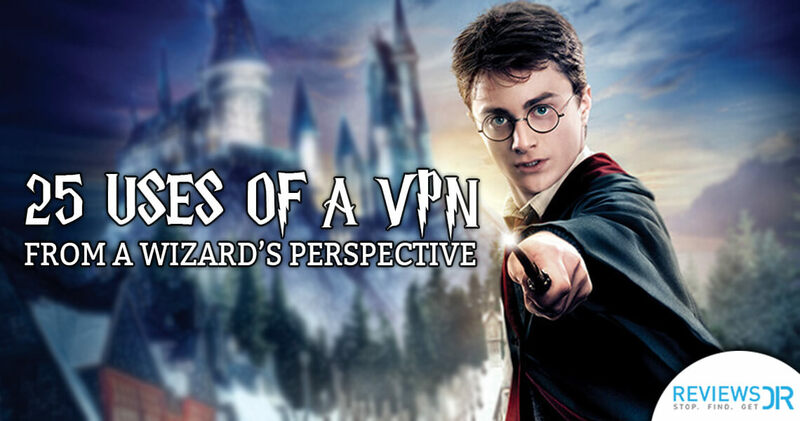 So, there they are all 25 reasons from a Wizard perspective that why you should use a VPN. Harry Potter himself using a VPN to protect his online identity, otherwise there would have been hundreds of Harry Potters roaming around the road. Hermione never quit using a VPN because she believed; it’s her right to keep her personal life private. Ron, on the other hand, uses a VPN to entertain himself with new movies and online games. Dumbledore is secretly using a VPN to keep Voldemort out of his thoughts. We recommend you to start using a VPN now. Here’s a list of our top 5 picks for quality VPN service and fastest speed. Not only is this very misleading, it is at times completely wrong. And as far as i can tell, you’re also endorsing tax evasion. And for the record; HideMyAss keeps logs of everything which they gladly hand out to the authorities, and thus you’re not truly anonymous.